Car accidents can cause serious personal injury, as well as financial devastation for entire families. After an auto accident, insurance companies often work against victims to minimize claims. 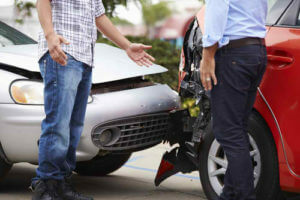 Eastern North Carolina auto accident attorney L. Lamar Armstrong Jr. has represented motor vehicle accident victims for over 30 years, and he will protect your interests after a severe car accident. The Armstrong Law Firm, P.A., is Strong for You. When an individual sustains injuries in a car accident, the whole family suffers. In addition to emotional trauma, families will face financial uncertainty. It may be difficult or impossible to pay the mortgage and household bills due to lost income, not to mention hospital and medical bills. 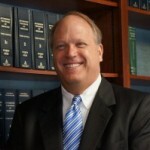 Lamar understands that in car accident cases, immediate legal attention is required. Lamar treats his clients as if they were his own family, and he will take every necessary action to relieve the burdens placed upon your family. Lamar will immediately open an investigation into your accident to preserve evidence to hold the responsible parties accountable. Besides the driver who caused the accident and his or her insurance company, car part manufacturers are liable when they produce defective products that cause accidents and injuries. If negotiation does not result in a satisfactory settlement, Lamar will file a lawsuit against all responsible parties. Non-economic damages, including pain and suffering and effect on lifestyle. Lamar understands that families will struggle with emotional and financial burdens after a severe car accident, and he wants to help you. When other drivers or defective products cause car accident resulting in serious injuries, you need a compassionate attorney who stands up for your rights and obtains results. Contact our Eastern North Carolina personal injury attorneys to schedule an attorney consultation. Lamar looks forward to meeting with you and hearing your story.